Hello again! It turns out that giving two recitals, learning lots of new music AND escaping for a few days doesn’t leave much time for other things. So, until I get some outfit posts organised, I’m going to be talking about some Autumn inspiration. 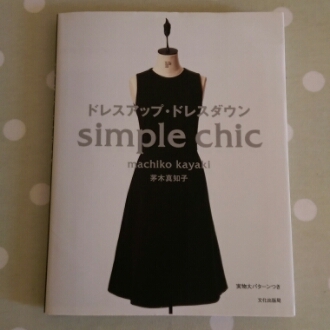 First up, I’d love to review a book I got ages ago, called Simple Chic by Machiko Kayaki. I ordered it sight unseen, hoping that because the title is in English that it was an English translation. It’s not. It’s in Japanese! But upon careful study, that’s actually not a huge problem. Maybe it’s not for a total beginner but if you have some coffee and a good sleep, it’d probably be fine. 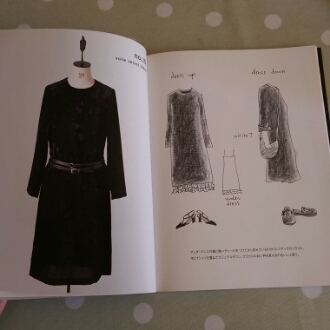 The book features primarily dresses, with one pants, two tops, a coat and a suit. I’ll show you each one. 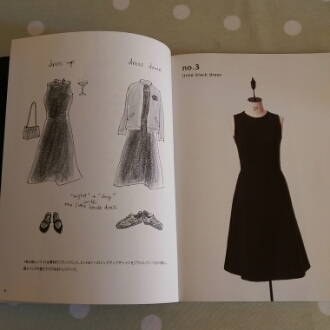 Next is a little black dress (I’ve just traced this off!). It’s such a pity the garments are largely made up in dark colours but I understand if they want it to be more chic-everyday. Isn’t it nice? You’d never guess from the photo. 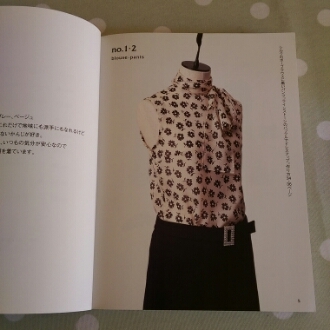 Next is another sleeveless top and another type of shift dress. 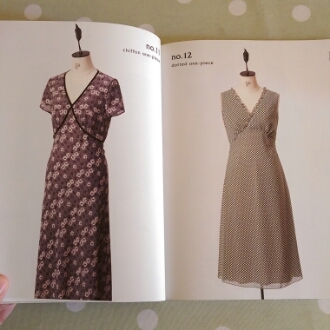 Then there are two more summery sort of frocks. One of my favourites is unfortunately practically invisible in the photo! 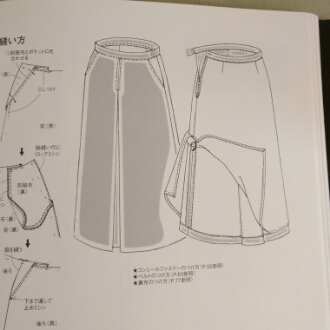 It’s a pleated skirt with pockets. I really like this one, it’s got a cool beatnik feel to it and I think would be great with leggings. Then there are two more Asian style garments, a blouse and a dress. Here’s that coat I was telling you about. I love how the illustrations portray it, a bit of Sherlock Holmes going on I think! Then there’s a two piece dress that I adore. This is certainly in my future. 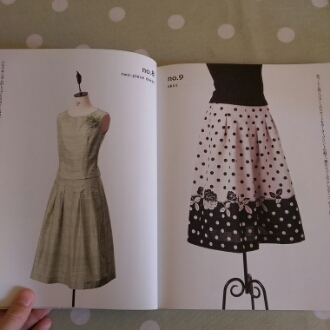 They put the skirt in by itself as an extra pattern, which I think is a bit silly, but anyway, it’s still nice. 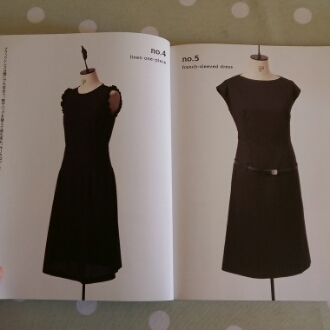 There’s a fairly shapeless long sleeved dress – I wonder if you could use the sleeves on other garments? And lastly, there’s the suit. The skirt is a simple A-line so you could use it by itself. There you have it. The patterns are on sheets and you need to trace them off. They don’t have seam allowances included, which I rather like, as you give more or less leeway as you desire. The sizing IS fairly limited. I reckon they mostly correspond to UK 8-10-12. 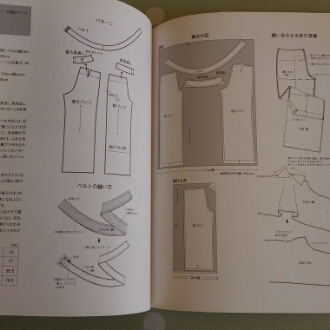 However, the instructions are clear about what the finished measurements are so it’s easy to tell what size to pick. Another thing I really like is that they instruct for most things to be lined. 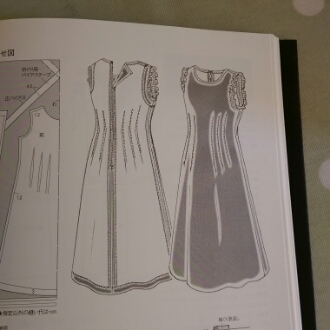 The instructions for this is really clear, both how to trace off the lining pieces and to install it. Overall, it seems like a really good book of nice work basics and I’m looking forward to working my way through it! I spent the last two weeks playing for opera rehearsals (which was scary, then interesting, and then tedious) and went immediately home to Sligo to play for the wedding of two very good friends. It was back to terra firma yesterday. What better way to treat oneself after a day of tidying up and chopping bushes than to whip up a bias skirt? I got a book a while ago called One Yard Wonders. I think we all fall foul of buying a sample of a fabric too beautiful to leave behind from time to time. This book has piles of ideas to put such snippets to work. I picked up 1.25m of this cotton/elastic mix in the Woollen Mills last week. It was the end of the bolt so they gave it to me for the price of a metre. 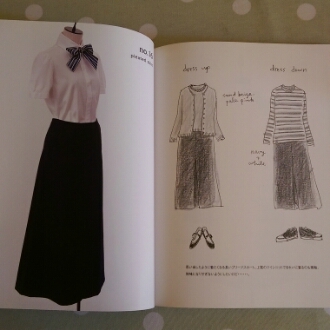 It is the world’s simplest skirt pattern. You cut out two pattern pieces on the bias and sew the side seams. Then you make a hem at the top but leave room to thread elastic through it. You adjust the elastic to fit and then finish off the hem. Lastly, you hem the bottom. It took me less than an hour and that’s including being fussy with pressing all of my seams before sewing. By happy accident, my dots lined up nicely. I love the fabric – it drapes beautifully – but I went half-blind cutting it out. The rest of the book is great. The clothing section has lots of easy, quick projects like this one, perfect for a beginner. There are sections for the house, organisation, kids and toys, too. I will definitely be making more from it. It is great to see e-readers gaining popularity. I have had mine for over a year now and I can honestly say that it has cut my consumption of paper goods to a fraction of what it was. 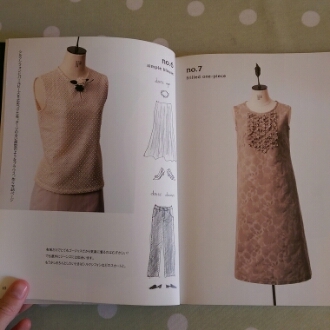 I think that this, coupled with the platform that Ravelry gives to independent designers to sell their patterns digitally, has pushed the concept of knitting patterns into a new realm. 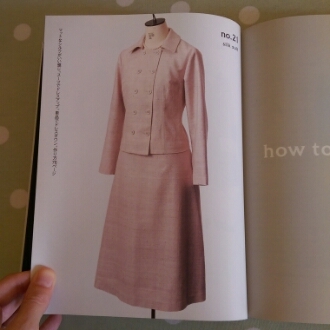 There’s the instant gratification of it – when you download a pattern, you have it instantly. In the same vein, you can hold off on buying a pattern until you really need it; there’s no physical limitation on how many are available. It’s less wasteful and therefore cheaper – no paper and no shipping. The whole idea of Ravelry downloads, and downloads of patterns in general (like from Webs, Patternfish or Chic Knits) has really expanded over the last few years. I also really like the idea of knowing that the money is going straight to the designer… I think this is the main reason that independent design and publishing has flourished. Recently there have been a few releases of knitting e-books that really caught my fancy. First up is Westknit’s Book Two. His website is here and you can see what Book One was like here. Book Two isn’t listed there yet but you can see all the projects in it through the Ravelry link above or on Flickr. These Splitbark mittens were my first love from the collection. It has a complimenting hat, too. At first glance, I wasn’t that captivated with the collection as a whole but when I saw what other peoples’ projects looked like, I was convinced. The collection is available in print and digitally and I think all of the patterns are available individually, too. Another e-book that made my day was the release of Veera’s Book of Gray. 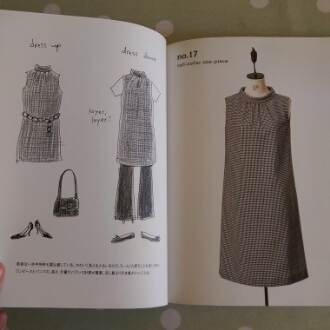 I have knit a number of Veera’s patterns and wear them all the time so this I found very exciting. My clear favourite is Graystone. All of the patterns are available to buy individually although I ended up with the whole collection. I can really see myself knitting my way through the whole thing. My last favourite isn’t new at all – it’s Romi’s 7 Small Shawls to Knit. This has been an on-going project where she releases one pattern a month or so. I think there is now only one left to go. They are all beautiful and quite different from each other. They are designed to use up your precious single skeins of sock yarn or hand-dyed yarn. I love them all! I think I even found the perfect shawl for my wedding. Sure! I don’t have a dress or invitations or any of that stuff done but the knitting is sorted! Needless to say, I have already cast on for the Splitbark mittens so stay tuned for some progress pictures! Look what my brother brought me back from Finland! He has been over there for work for a few months and managed by a funny stroke of luck to find a copy of it – a friend’s mother had it in a box of knitting stuff she’d been given. She sent it over with him. Aren’t knitters the best?! On my quest for this book, I found out that it was first published in 1947 and remained out of print until 2008. There is a meagre supply of the new reprint out there and can be very hard to get a copy of. Here I have in my hands a copy of the 1947 edition… but bought or gifted in 1958. 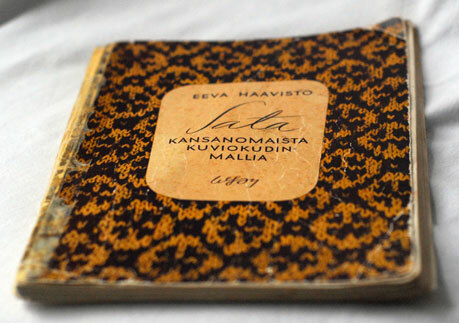 There is a substantial foreword – all in Finnish – from which I gleaned dates and words that I imagine to be fantastically exciting. 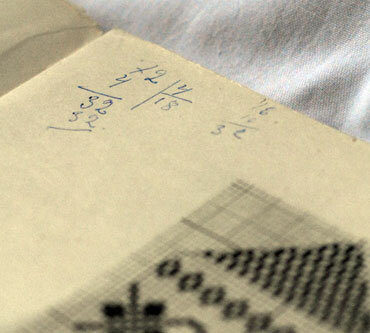 After that come 100 charts, most in black and white, with only stitch counts, indication of thumb placement and written explanation of the traditional colours used. While I suppose there is less information charted (in comparison to Selbuvotter, for example, which has charts for hand, palm, thumb and gusset increases), this to me is more exciting because it leaves a blank canvas for what you want to do on the palm side. Things such as including my name and phone number for when I lose one or the other spring to mind! What I love about the book is that it has obviously been used. I wonder which pattern she knitted first? What colours did she use? Did she make them to match her coat? Did she lose one or the other like I always do, and end up making another pair?! 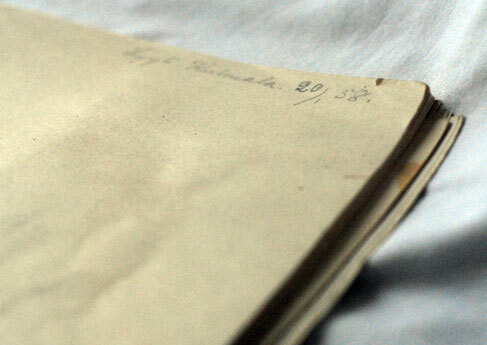 There are notes jotted on a few pages, some which are eerily familiar… the division by 4 for how many on each DPN! I realise that my fascination with mittens is a little unusual, especially since we rarely get severe enough weather to truly warrant mittens, but it has been a developing interest. 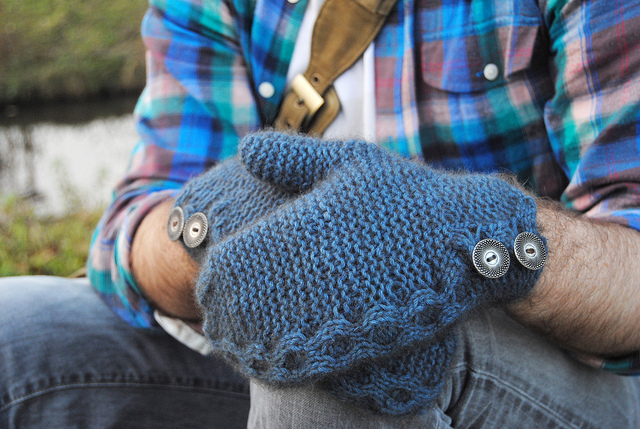 It started with Favourite Mittens by Robin Hansen, a collection of traditional mittens from Maine and western Canada. 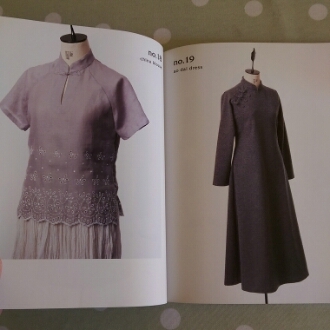 Although the patterns didn’t excite me particularly, a large portion of the book was given over to the history of, and interviews with, the people who had donated the regional patterns which I found very interesting. This was followed by Latvian Mittens by Lizbeth Upitis which, too, had lots of history but mittens mostly too OTT for my taste. Then there was Selbuvotter by Terri Shea. This has just the right mix of history and wonderful Norwegian patterns. I’ve knitted three pairs out of it so far. 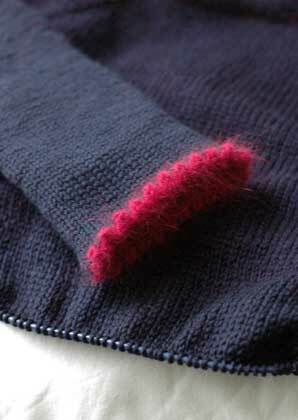 And, although not technically traditional or historical, there were the Snail Mittens from The Knitter’s Book of Yarn. I think the only logical conclusion is that mittens are to me what socks are to other knitters. Their heel is my thumb gusset. Their toes are my mitten tips. Their cuffs are my… cuffs. Ok. You get the idea. But aren’t mittens just so much more interesting? All the colourwork that make them warmer, work up faster, more fun! Don’t you feel like casting on for a mitten right now? I do… but I have a problem. I have no idea which one to knit. Yesterday, I finally addressed something that had been bothering me for a long time. Remember that doctorate that I was awarded a bursary to do? I’m not doing it anymore and I’m going to take a break from playing solo piano stuff for a while. I realised that the doctorate would end up taking me furthest away from everything that I really wanted, so what’s the point in spending all that time and money on it? I’ve got other fish to fry. There are discrepancies in my dyelot for this fish. I striped it in for the second sleeve and it worked really well. I’m not so certain of how it’s working for the body. To me, it looks really obvious but from a distance, the eye compensates. I am half way down the body – I finished my waist shaping last night – so I should probably just finish it up. If it is absolutely appalling, I will rip it out and do it again. This sock is getting more of a look in than it should be because my other projects are currently too large to bring on the bus! The colours are eliciting a lot of remarks. 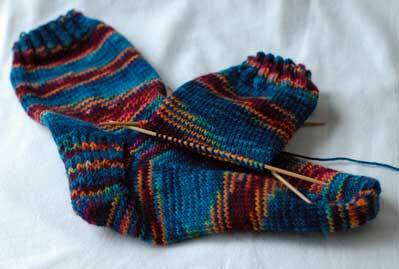 I always feel that by knitting wild coloured socks, I’m flying in the face of utilitarian sock knitting. These arrived in the post yesterday. 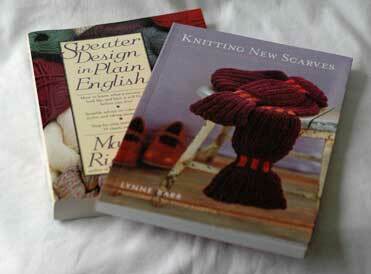 Sweater Design in Plain English by Maggie Righetti and Knitting New Scarves by Lynne Barr. The former is pretty self-explanatory; the latter shouldn’t intrigue me but it does. I’m not really a scarf knitter. 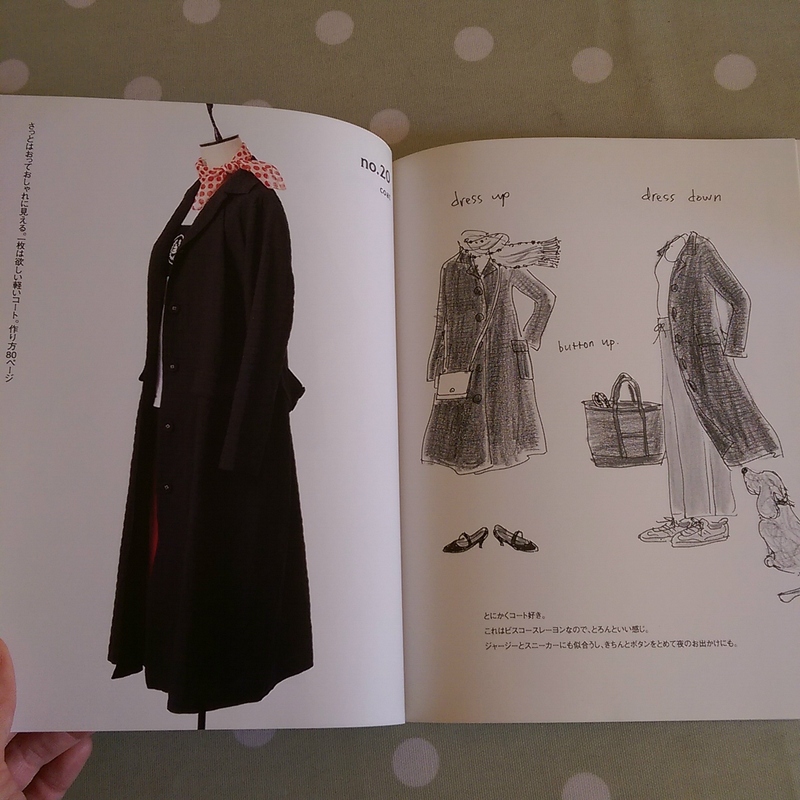 But the twenty seven scarves in this book aren’t really scarves, they’re exercises in construction. 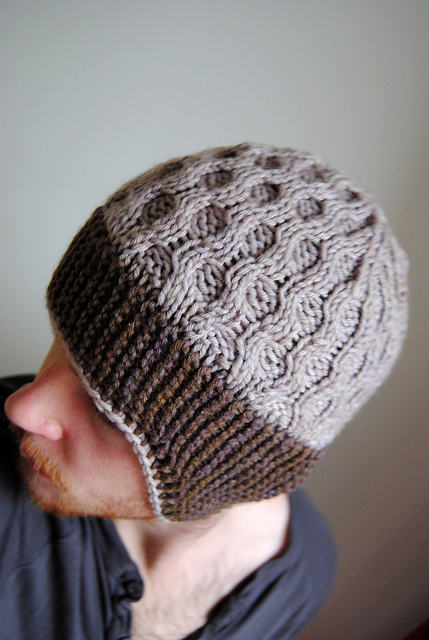 Inspired by buildings, the resulting projects are challenging to knit and fun to wear. Highly recommended if you want some fresh thinking. The Maggie Righetti book is quite a tome and I’m going to reserve my opinion until I’ve read enough of it. There are, of course, many other fish but for now I’m going back to my knitting with a cup of tea. Joy!